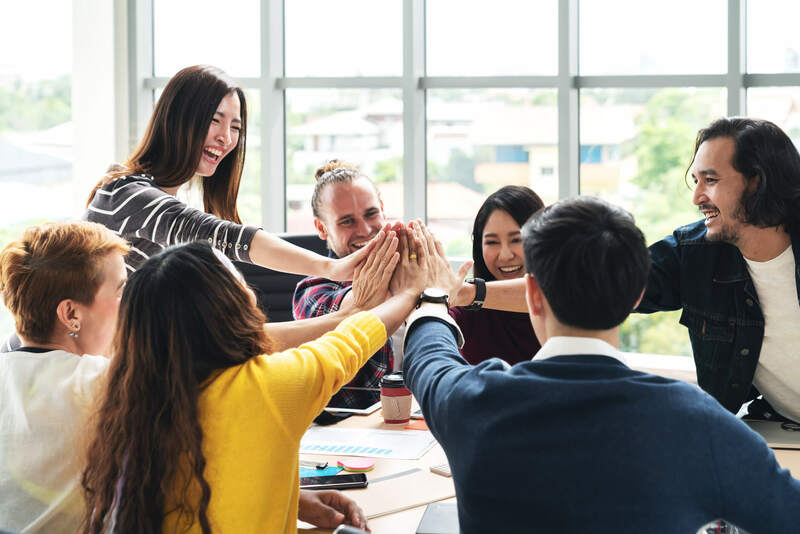 Panorama brings together peer-to-peer campaigns, online auctions, donor management, and built-in actionable analytics for smarter fundraising. 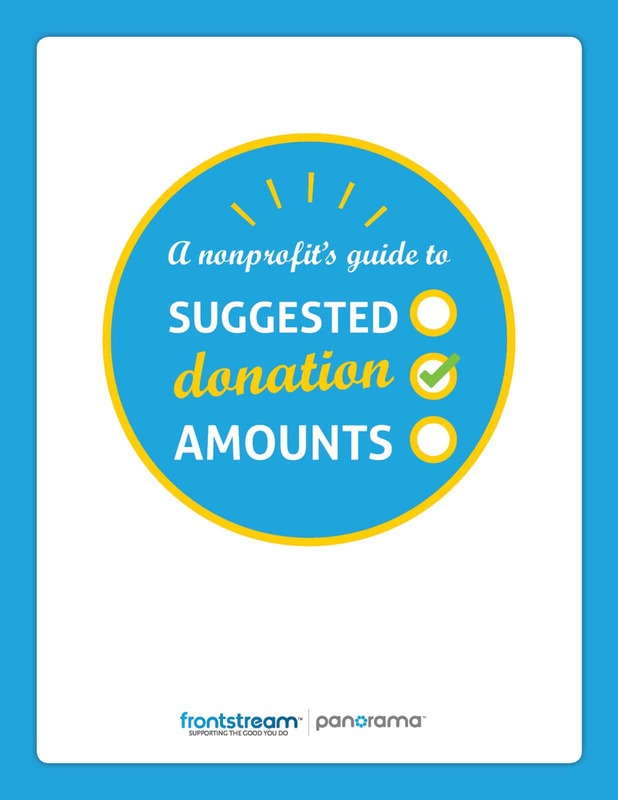 Increase donations with built-in employer gift matching, social sharing, and dynamic suggested donation amounts that increase average giving by 20%. Tailor communications to each participant based on actions they have (or have not) taken in your campaign. Boost bids by moving your auction online and allowing guests to bid via their smartphones at your event. 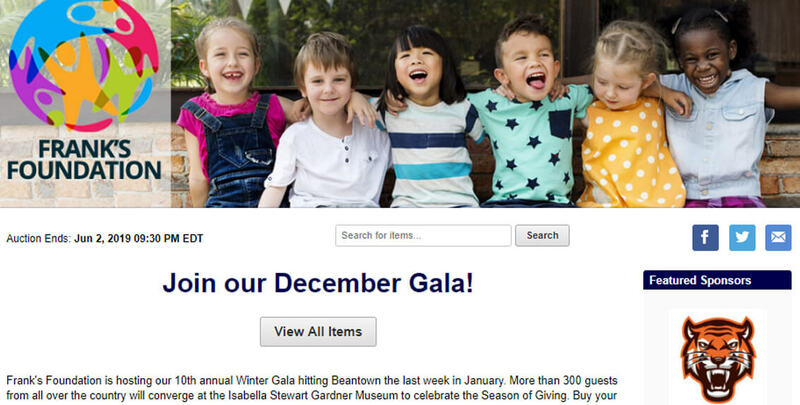 Plus, raise more with access to our Bidder Community of 500,000+ philanthropic shoppers. Turn donors into lifelong supporters by allowing them to create their own fundraising pages in minutes to help raise money for your latest campaigns, #GivingTuesday, or special projects. Each constituent is tied to a single donor record for cleaner, higher quality data. 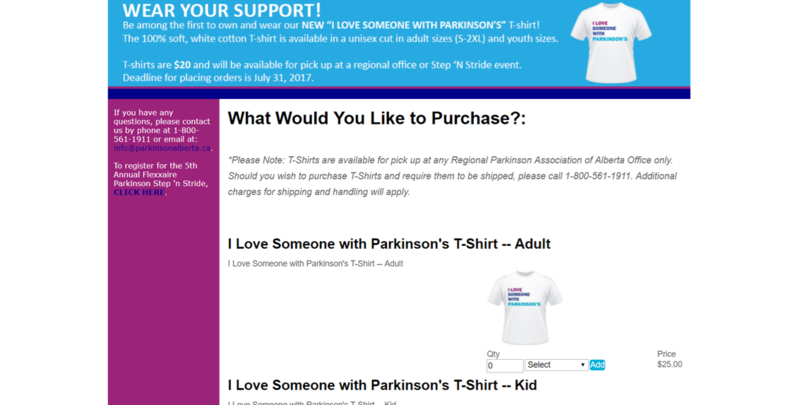 Whether a supporter participates in an event, volunteers, or makes a donation, their activity is automatically logged. No manual data entry or time consuming importing is required. 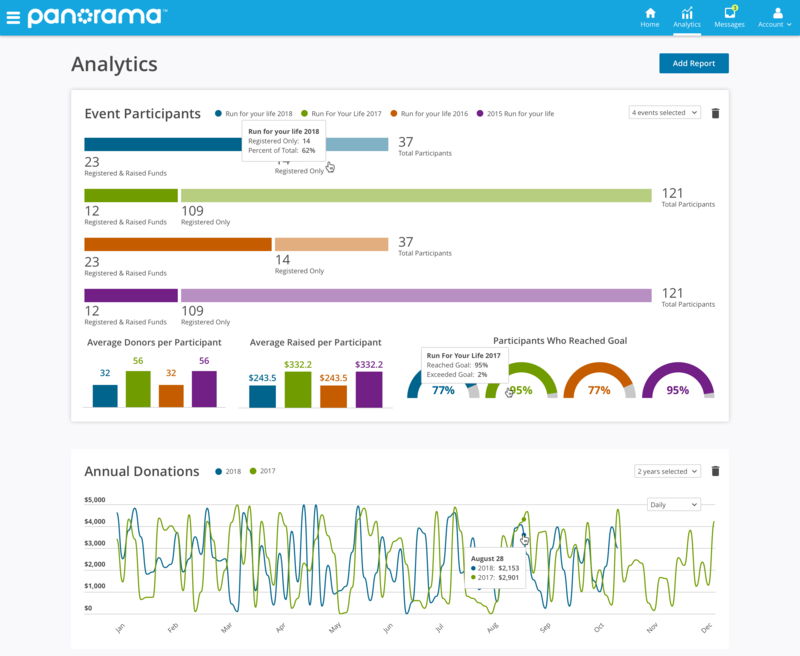 Launch and monitor all of your fundraising campaigns from Panorama. 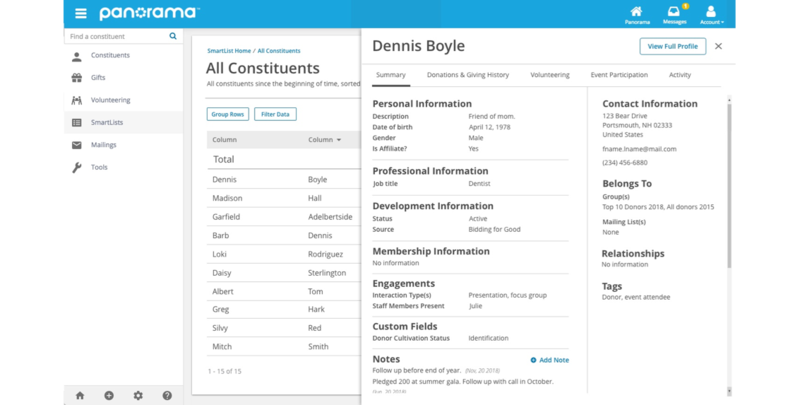 Customize your dashboard based on donor behavior across all campaigns. 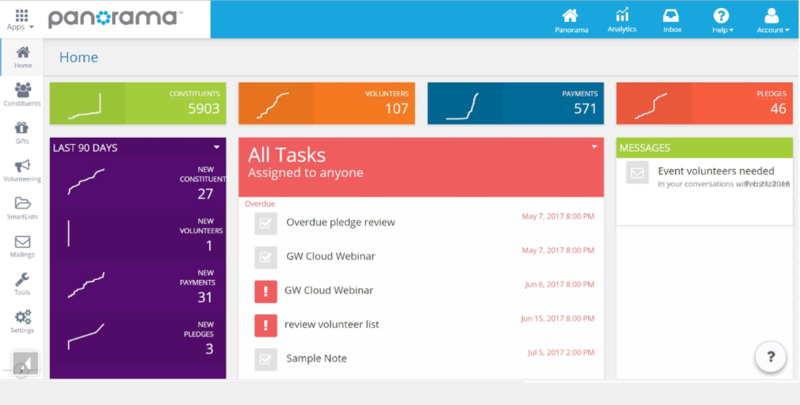 Your team members can even personalize their own dashboards to see the information most relevant to them. 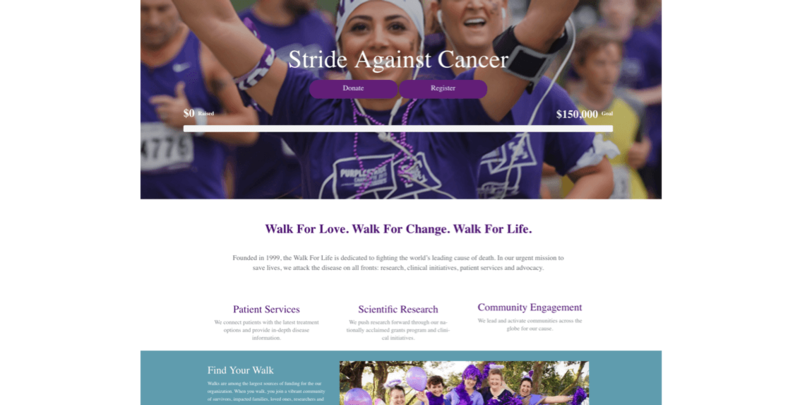 Set up fundraising campaigns and event pages in just minutes. Start taking donations immediately — there’s no need to wait or set up a merchant account. Panorama Premium removes the redundancies and effort of data management. You no longer have to waste time working on painful imports or finding and fixing errors. All your donor and fundraising data is seamlessly shared across the Panorama platform without any manual work on your part. The result? Less hassle and more time to focus on making a difference. 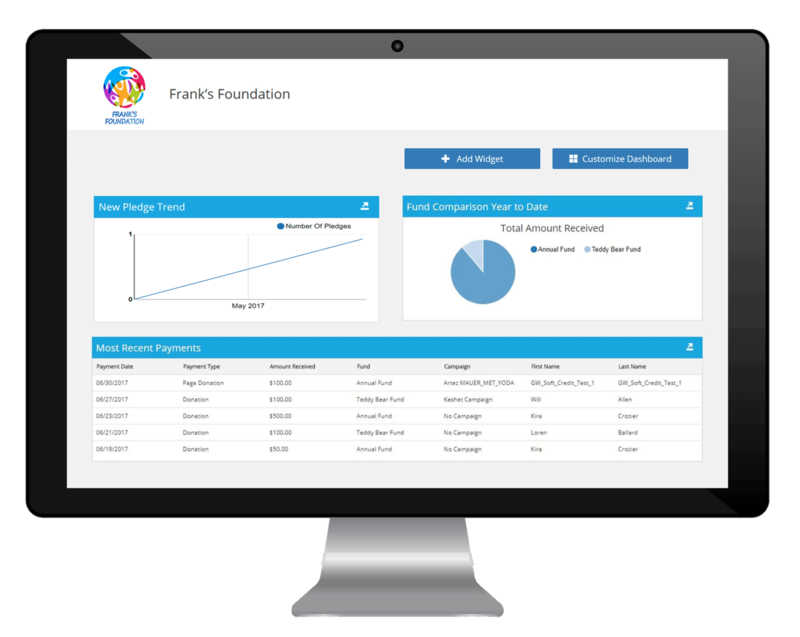 Panorama Insight's analytics help you compare, assess, and take action to improve your fundraising results. You no longer have to struggle to comprehend and analyze complex reports across multiple systems. All the guidance you need is available to you within our platform with automated suggestions and tips on how to optimize your efforts. Panorama Insight makes smarter fundraising easy . Get up to speed quickly on Panorama with step-by-step help that guarantees your success. Get the personal support and guidance you need with all aspects of your fundraising. Become a super user with customizable one-on-one training sessions in 2-hour or more increments. Access unlimited support via phone and email from our knowledgeable and helpful team of fundraising experts. Get the most out of Panorama with exclusive customer webinars, online resources, our video library, and more. A comprehensive range of services customized and tailored to suit your nonprofit's needs are available to you. Which Panorama Package Is Right for You? Choose the Panorama plan that best suits your organization’s needs today. You can always enable more fundraising tools when you’re ready!